The view cannot get better than this! 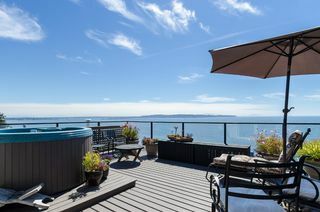 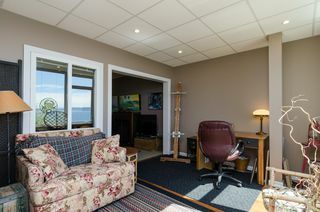 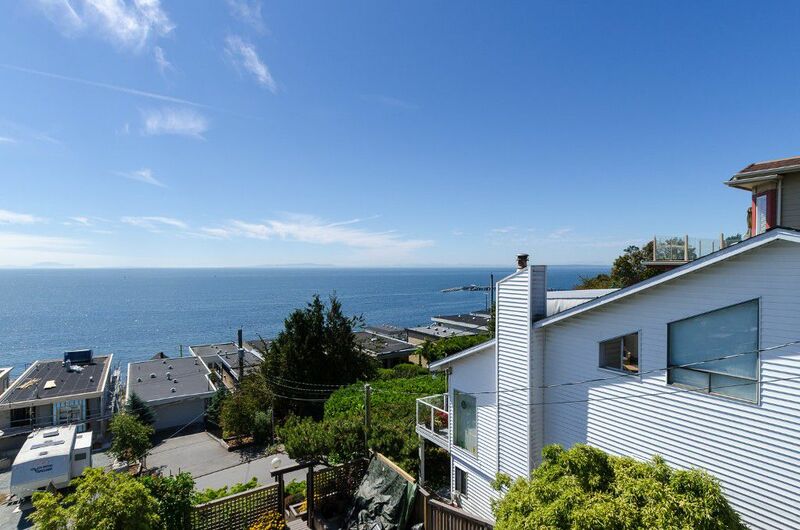 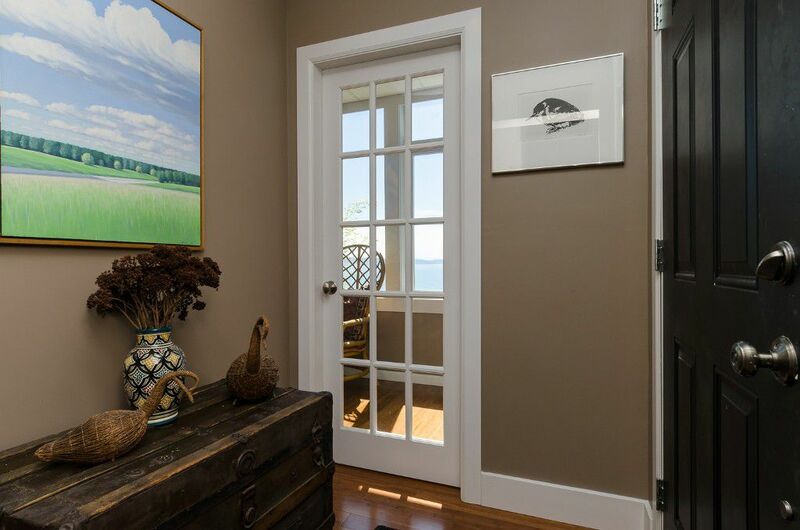 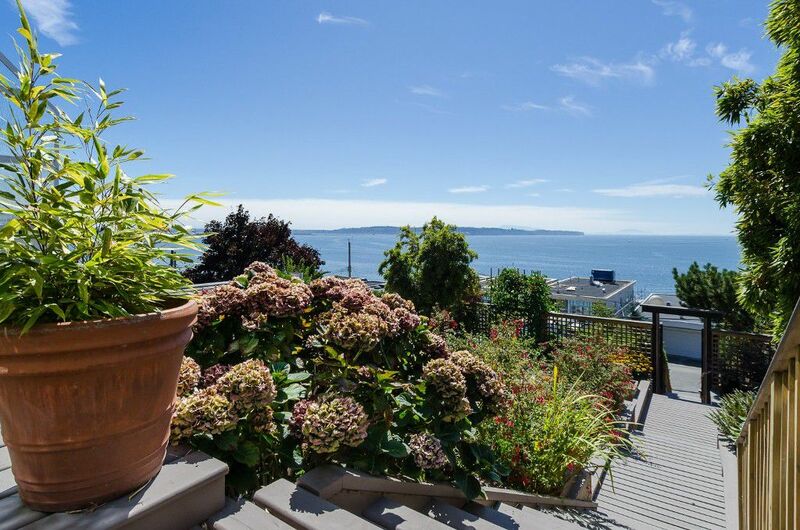 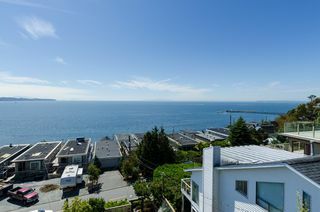 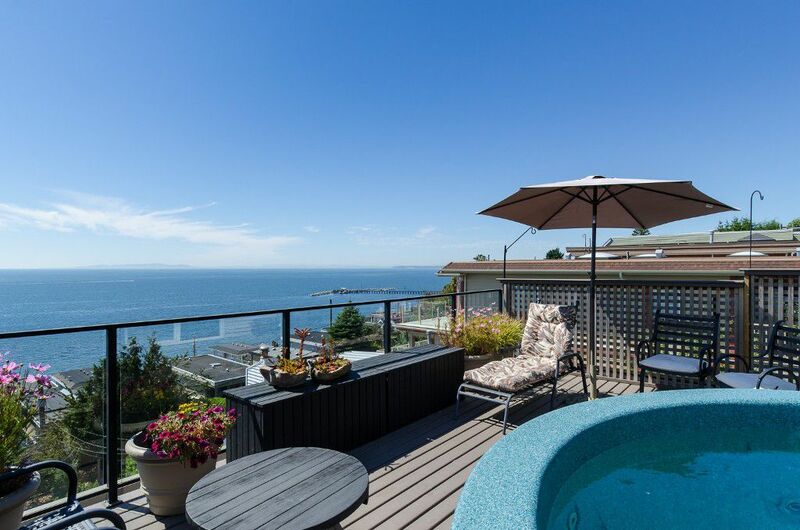 SPECTACULAR UNOBSTRUCTED 180 degree ocean, island & mountain views from all 3 floors from this beautifully renovated 3 level home. 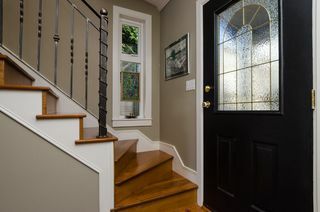 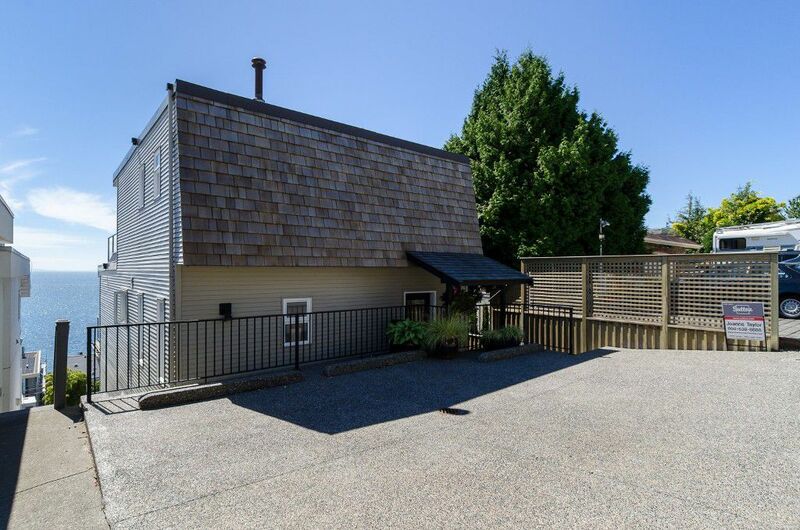 Features include open concept living/kitchen area w/granite counters, stainless steel appliances, deck off main, crown moldings, beautiful solid maple hardwood floors & stairs, gas fireplace w/slate surround, spacious bedrm/den on Main. 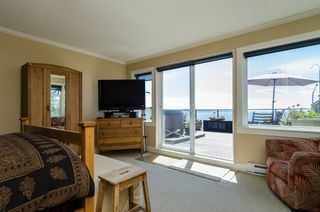 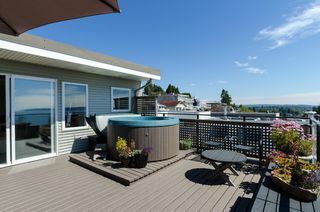 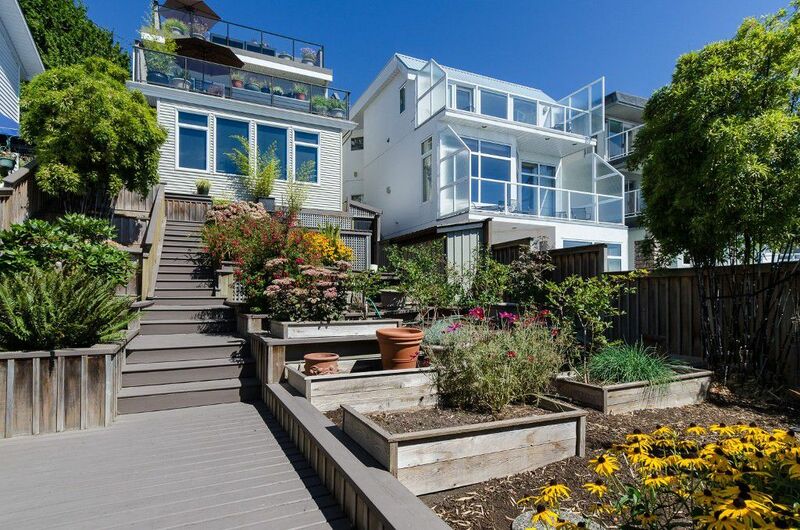 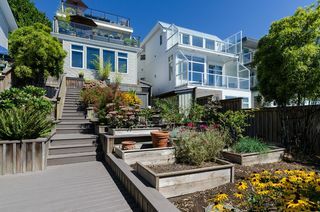 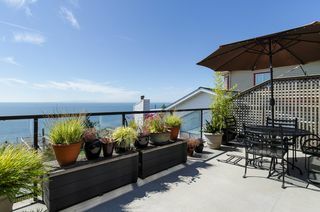 Above: Bright stair well with skylight that leads up to Master bedrm w/extra large private sundeck & hot tub to enjoy the panoramic ocean view & sunsets! 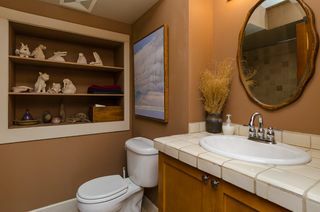 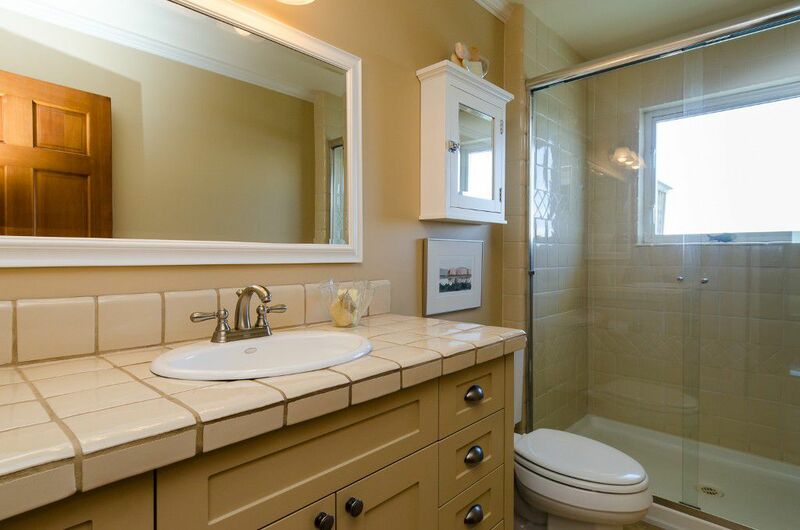 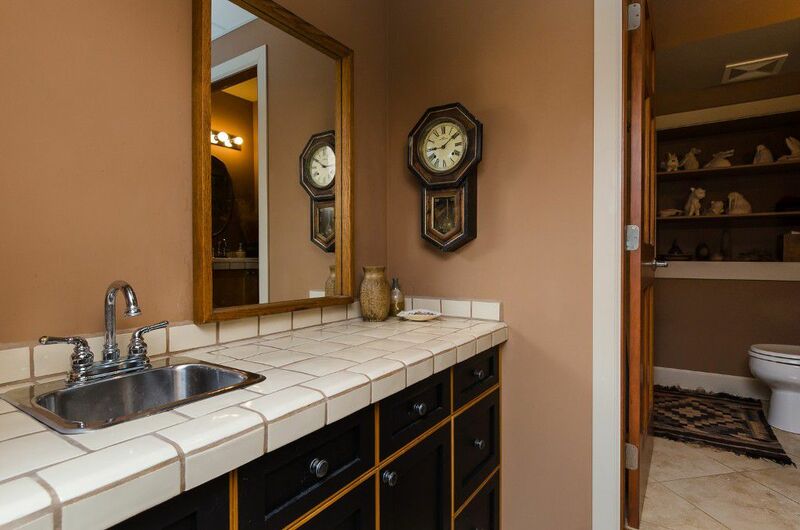 Spacious walk in closet, laundry, 3pc ensuite with travertine floors & oversized glass shower. BSMT: private entrance, so could be a studio or made into a suite for family or guests. 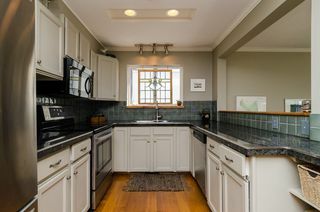 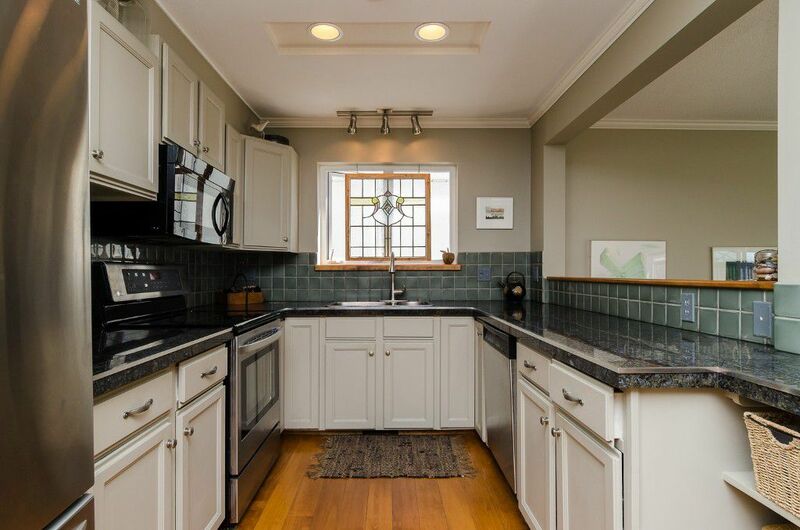 Solid bamboo floors, bedrm/den, gas FP, renovated 4pc bathroom with travertine floors, maple trim and hand made mexican tile counters, shower and tub. 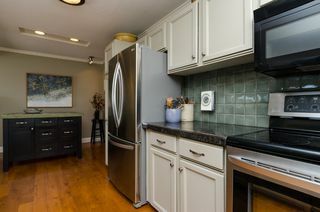 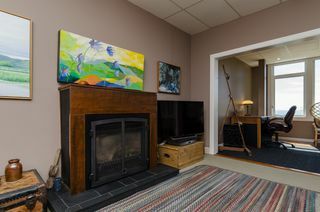 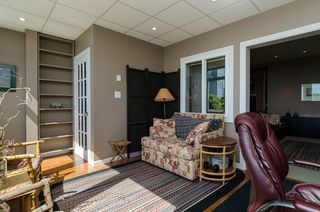 Hobby room +wine room with full fridge. 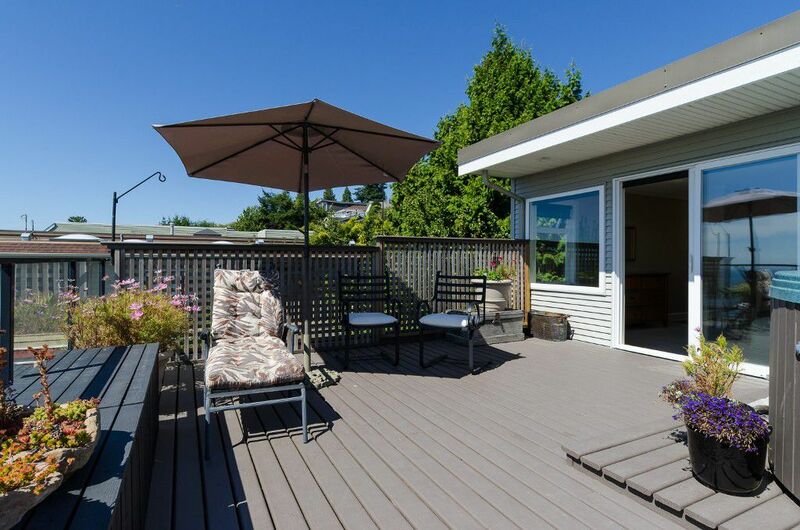 Beautifully tiered professionally landscaped garden, storage shed, new wooden stairs, walkway & perimeter fence, new exposed aggregate driveway with 3 parking spots + lane access. 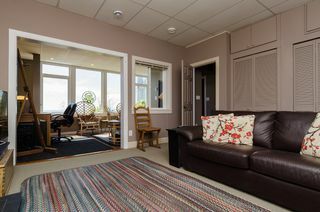 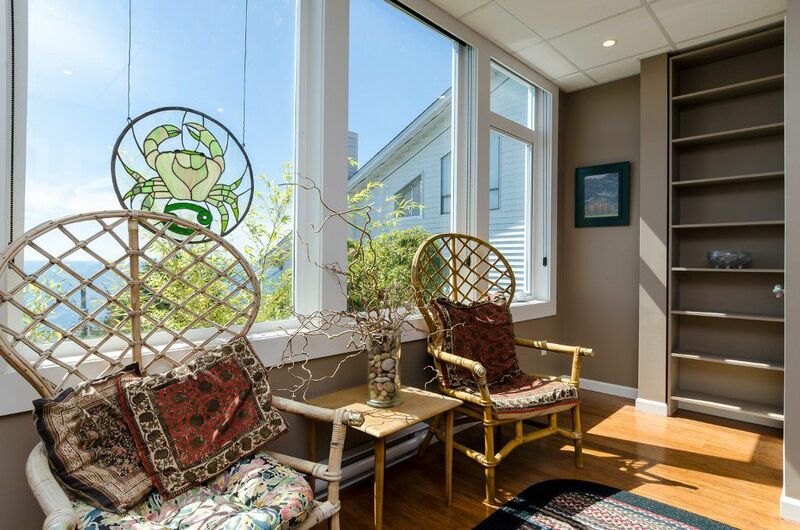 Extensively updated over the years, inside & out; over $100K spent on renos. 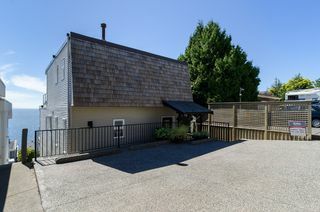 New roof & siding 2003, new windows 2004, new interior solid fir doors, new HWT 2010, new energy efficient furnace 2012. 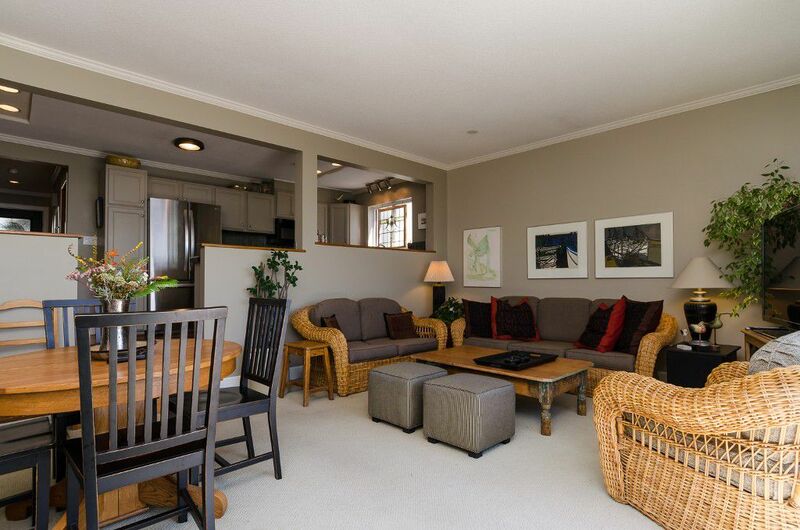 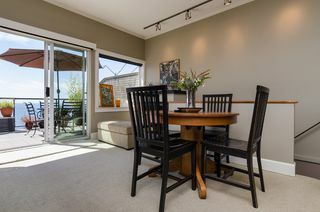 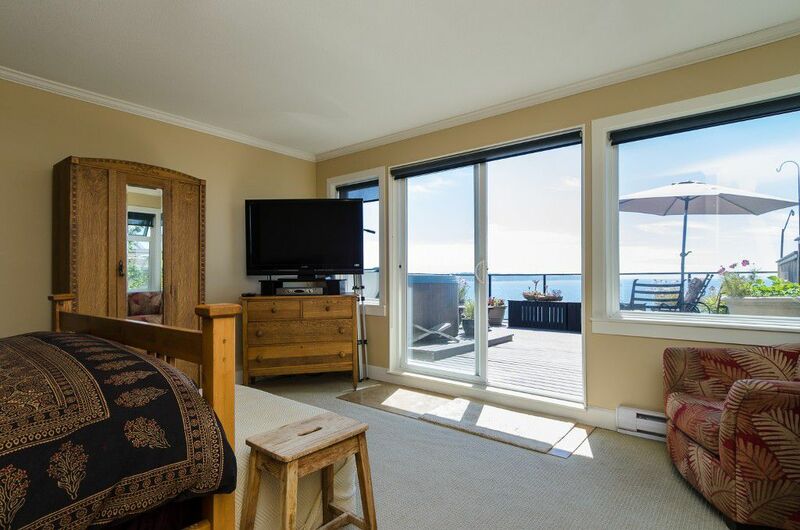 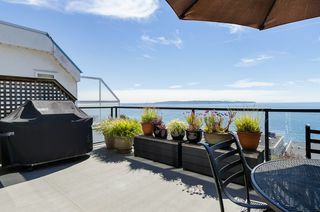 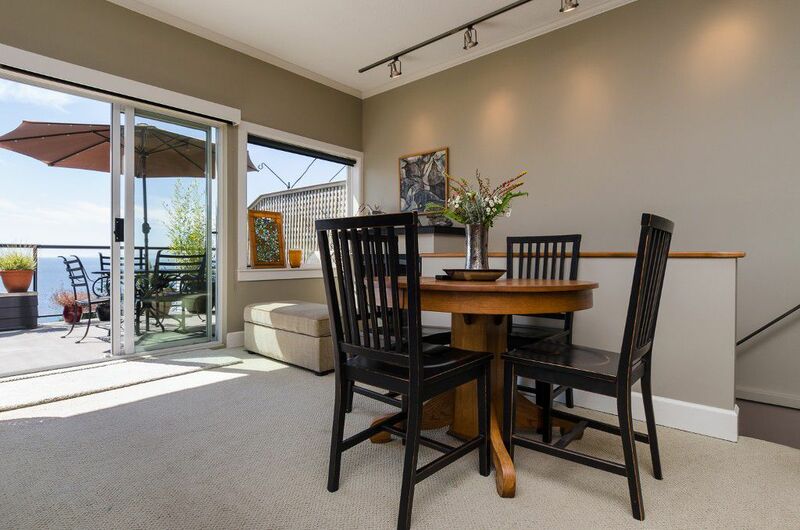 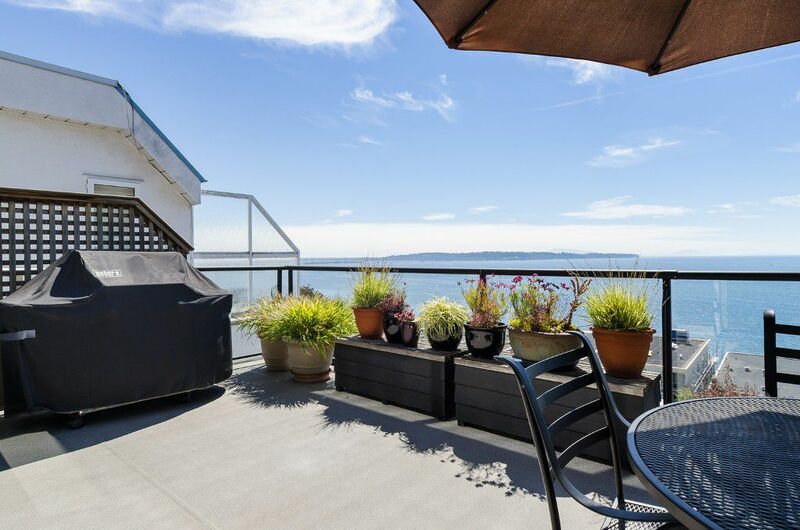 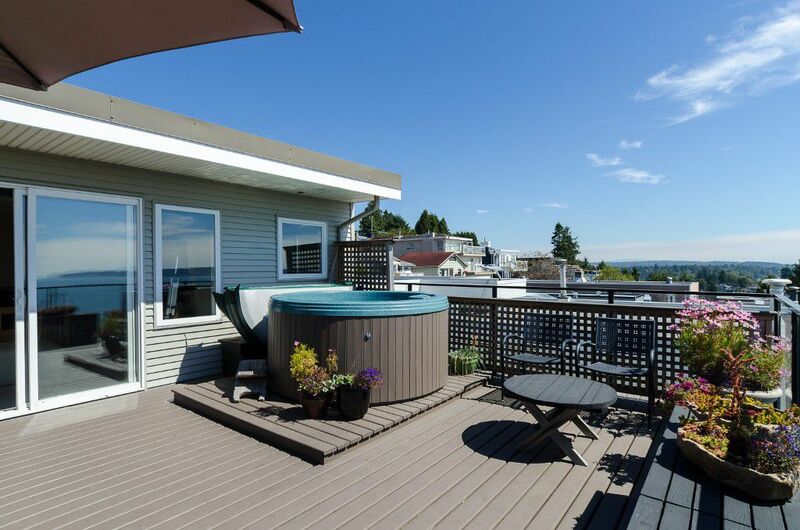 Steps to shopping, transit & sunny beaches of White Rock!